I snagged a bottle in October with plans to drink it during this year’s series premiere. 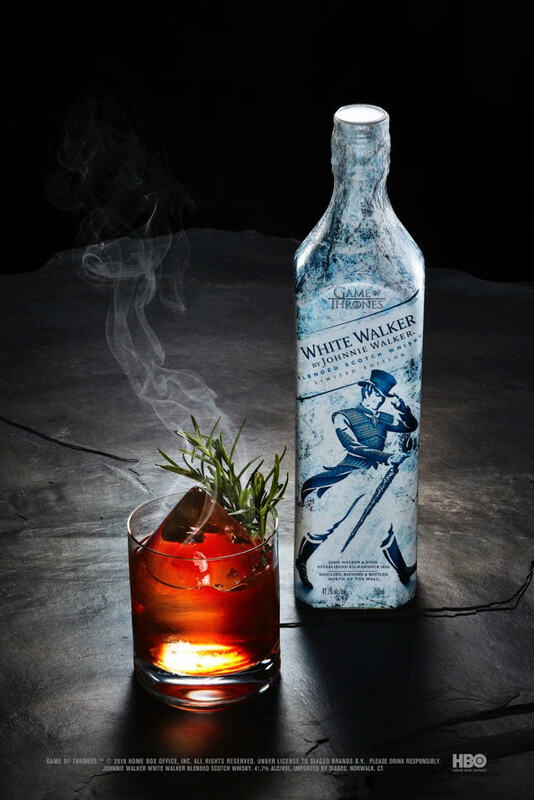 While my plans entailed just drinking it straight, the folks at Johnnie Walker sent over a few drink recipes this week that use the whiskey in Game of Thrones-inspired cocktails. If you’re like me and are still holding on to a bottle or two, here are a few ways to use it. 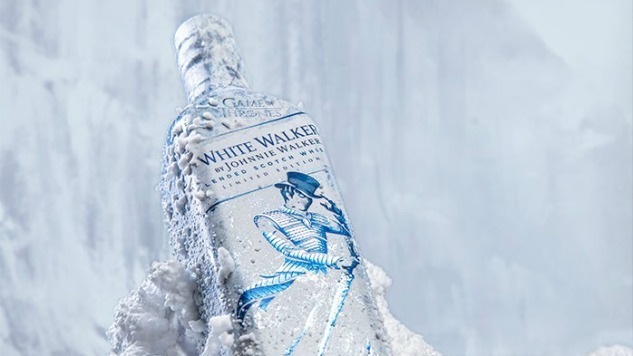 And if you can’t get your hands on a bottle of White Walker, I imagine another bottle of Johnnie Walker will do. Instructions: Add all ingredients into a shaker. Add ice and shake vigorously. Strain into a rocks glass and garnish. Instructions: Burn the rosemary stalk with a torch gun into a wood plank. Smoke the glass. Add all ingredients into a mixing glass. Add ice and stir for at least 30 seconds. 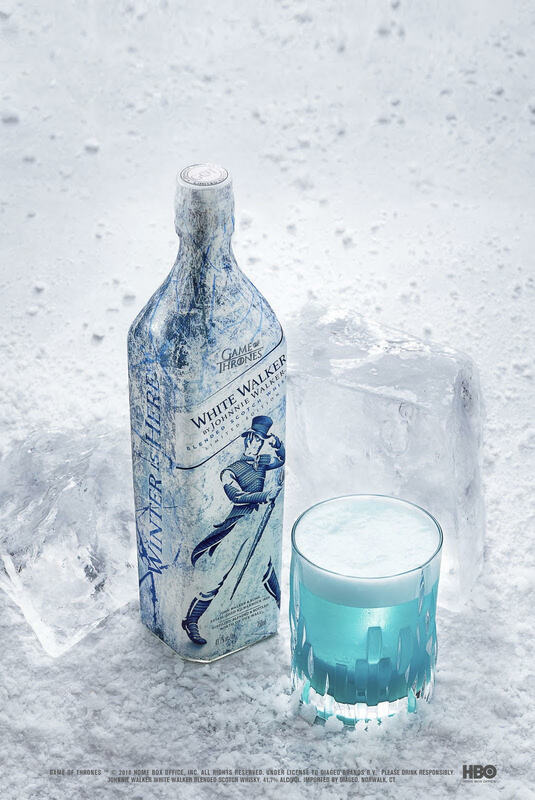 Strain into the smoked rocks glass filled with a diamond shape ice block. 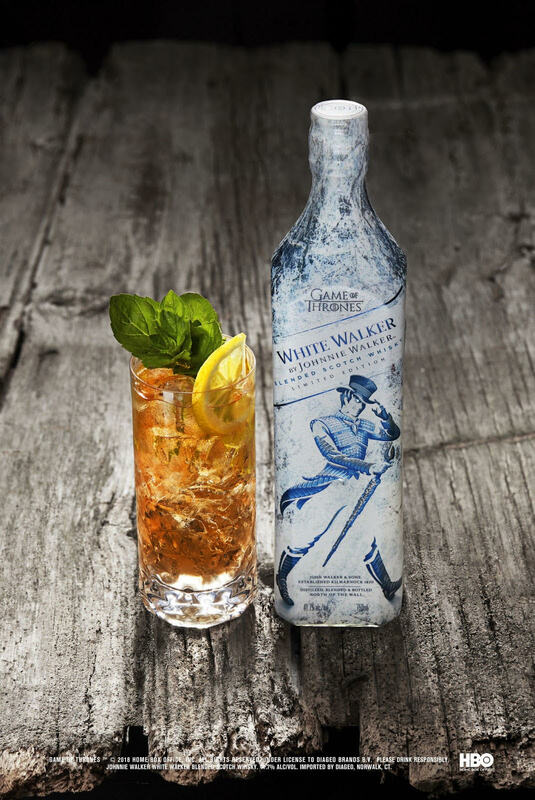 Instructions: Add all ingredients in a highball glass, add ice and stir for 2 seconds.